Why don’t hearing aids correct my hearing the way my glasses correct my eyesight? This is a very common question, and although it may seem logical to compare hearing loss to vision loss, it can lead to a lot of misconceptions and confusion about hearing loss treatment. 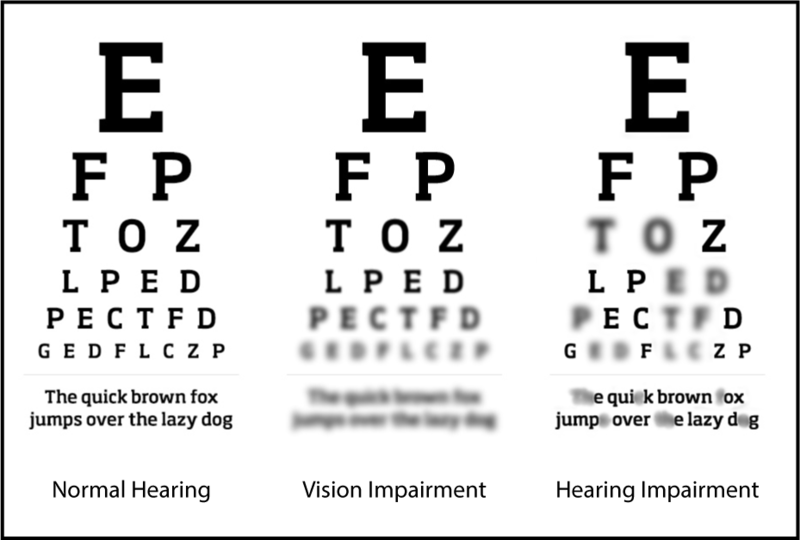 The most common vision problems are due to a refractive problem (e.g. nearsightedness, farsightedness, astigmatism, presbyopia). The problem is that your eye does not focus light onto your retina properly, but your retina itself (i.e. the nerve endings in your eyes that allow you to see) is not damaged. Refractive problems can be corrected with lenses or contact lenses. The majority of hearing losses are due to nerve damage in your inner ear (called hair cells). However, you require these hair cells to be healthy in order to hear. The more damage there is, the greater the hearing loss. Hearing aids cannot “correct” this damage because you rely on these nerve endings/hair cells to hear properly. Hearing aids can do exactly what their name implies – they “aid” the hearing that you have. Vision loss would be similar to hearing loss if the majority of vision problems were due to damage to your retina. It would not matter how clear glasses/contact lenses could focus the light into your eye if there was nothing there to pick up the light and send it to your brain. Thank goodness retinal damage is not the norm. Unfortunately, hair cell damage is, so we have to work with the hearing that have. It is for this reason that hearing aids are named as “aids” and not as a corrective hearing device. Another reason that vision and hearing should not be compared is because of the signal itself – light vs. sound. When you have vision problems and are trying to, for example, read a sentence. You can stare at it until you are able to read it. Even if you had trouble the first time, you can sit there and work at it until you get it. With sound, you are dealing with information that is forever fleeting - it is only present for a fraction of a second. If you miss it, then you miss it. Snellen Eye Charts Courtesy of Oticon © 2018.